CloudGate, a Chicago based startup have been working on a full body tracking solution which uses limited data points including hands, heads, waits to raise immersion level. Currently, most of the developers only represent hands and head of a person immersed in a virtual world because these things can be tracked easily with the present day technology. But, this can also cause few problems. As in current day VR technology, you can only see your hand, not your complete body. Steve Bowler and Jeremy Chapman at CloudGate have finally solved this problem using Vive Trackers. Their VR based dinosaur hunting game Island 359 has adopted this solution. Now, you can strap Vive trackers to your feet or waist and get a full body avatar. The latest software update released by the company also allows you to represent your full body without trackers but you will not be able to interact with the other objects in the virtual environment. These recent developments suggest that we are moving very rapidly in the field of VR and AR and with each day we find something new. It would not be wrong to say that we might be able to create a complete virtual world in coming years. 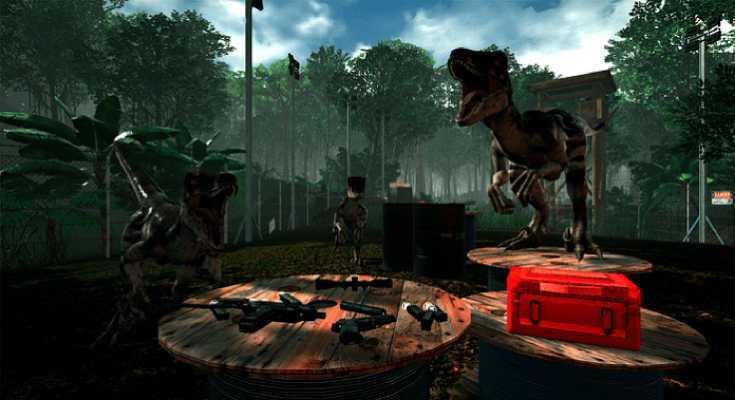 Island 359 (HTC Vive) Dinosaur Survival Game! This is Insane!